TOKYO - The biggest crowds of his nearly three-decade reign thronged Japan's Imperial Palace on Friday to celebrate Emperor Akihito's 83rd birthday on what could be his last such appearance after expressing his desire to abdicate. It was his first birthday since he announced in August that his advancing age and weakening health mean he may no longer be able to carry out his duties, setting the stage for Japan to prepare for an historic abdication. The Imperial Palace said some 33,300 people - the biggest crowd since Akihito ascended to the throne in 1989 - attended his birthday address, waving small Japanese flags as crowds shouted "Banzai" or "Long live". "If this is going to be his last time, I'm glad I got to see him," said Reiko Takahashi. Also attending the emperor's address, Takako Miyazaki expressed the view of many Japanese. "The emperor is quite old and if he says he wants to abdicate I think he should be allowed to," she said. The biggest crowds of his nearly three-decade reign thronged Japan's Imperial Palace on Friday to celebrate Emperor Akihito's 83rd birthday on what could be his last such appearance after expressing his desire to abdicate. Flanked by Empress Michiko and other members of the royal household, the soft-spoken monarch greeted well-wishers from a glass-covered balcony at the palace, surrounded by stone walls and mossy moats. "I wish you all health and happiness, and I pray the next year will be cheerful and peaceful," the emperor said in his address. Deliberations over his retirement wish are under way in an advisory panel set up by Prime Minster Shinzo Abe in September to study a possible legal mechanism for a royal departure, which currently does not exist. Ahead of his birthday, Akihito thanked the country for considering his message indicating his desire to abdicate, telling reporters: "I am profoundly grateful that many people have lent an ear to my words and are giving sincere thought to the matter in their respective positions." Any eventual move by Akihito to step down, which would see him replaced by his eldest son Crown Prince Naruhito, appears to have wide support, according to recent opinion polls. TV Asahi, quoting a key member of the panel, reported it may propose special legislation allowing the current monarch to retire to reduce his mounting duties. The six-member panel is expected to compile a summary on the issue in January. Akihito has had surgery for prostate cancer and heart problems, both of which he alluded to in his address, though he stressed that he currently enjoys good health. Speculation about Akihito's future emerged earlier this year with reports he had told confidantes that he would like to step down in a few years, in what would be the first abdication from the Chrysanthemum Throne in two centuries. Japan's imperial house is said to be the world's oldest hereditary monarchy, and according to legend stretches back some 2,600 years in an unbroken line. It is deeply ingrained in the nation's native Shinto religion. Akihito has keenly embraced the role of symbol of the state imposed after World War II ended. Previous emperors including his father, Hirohito, had been treated as semi-divine. Akihito is credited with seeking reconciliation both at home and abroad over the legacy of the war fought in his father's name, venturing to a number of locales that saw intense fighting, including Okinawa in Japan and Saipan, Palau and the Philippines overseas, offering prayers for the souls of all the dead. Japan's Prince Hisahito, the only son of Prince Akishino and Princess Kiko, poses at a rice field of the Akasaka Detached Palace in Tokyo, Japan in this handout picture taken August 10, 2016. 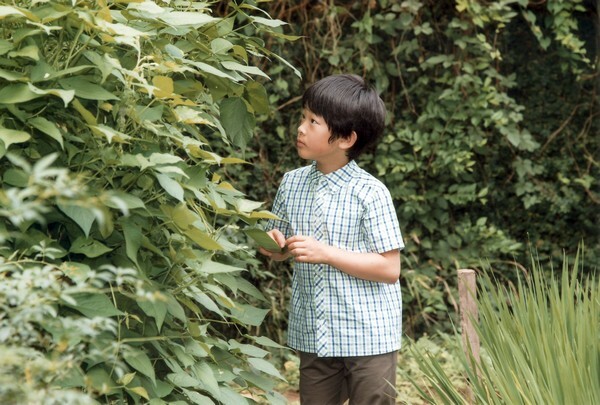 Prince Hisahito of Akishino looking at leaves beside a rice field of the Akishino-no-miya residence in Tokyo. 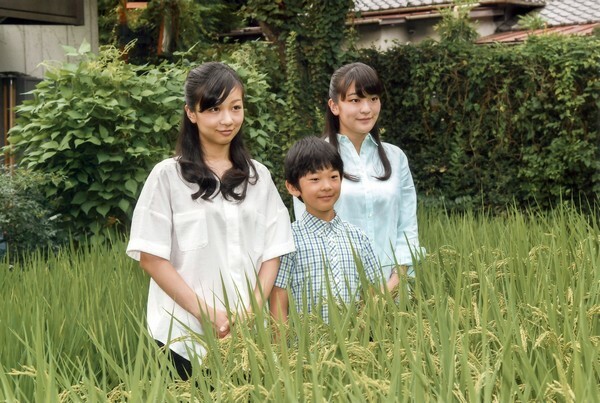 Prince Hisahito of Akishino (C) posing with his sisters, Princess Kako (L) and Princess Mako (R) at a rice field of the Akishino-no-miya residence in Tokyo. 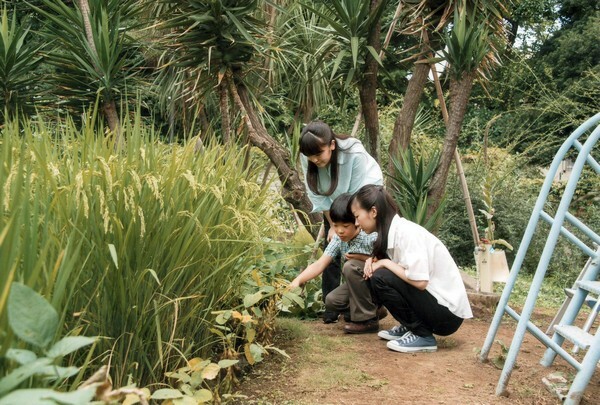 Prince Hisahito of Akishino (C) holding a light moment with his sisters, Princess Mako (L) and Princess Kako (R) at a rice field of the Akishino-no-miya residence in Tokyo. 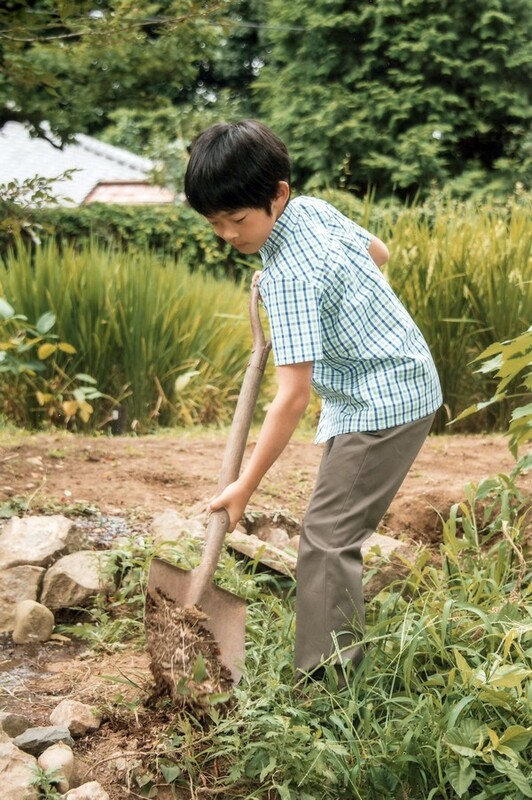 Prince Hisahito of Akishino digging up soil at a rice field of the Akishino-no-miya residence in Tokyo. 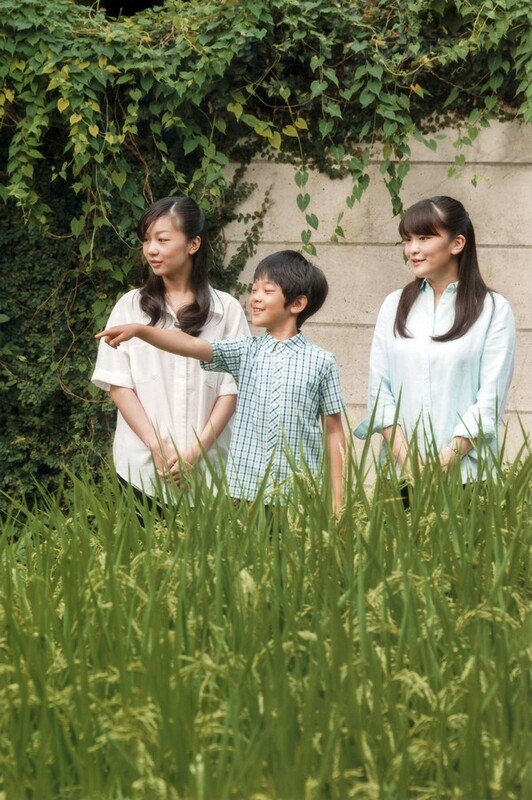 Prince Hisahito of Akishino (L) posing with his sisters, Princess Kako (C) and Princess Mako (R) at a rice field of the Akishino-no-miya residence in Tokyo. 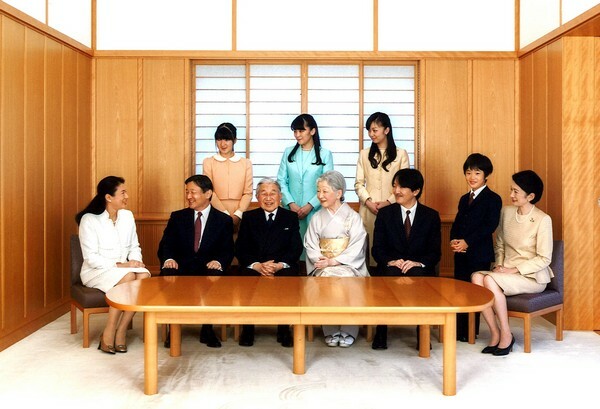 Japan's royal family during a family photo session for the New Year at the Imperial Palace in Tokyo. Japan's Prince Hisahito (L) and his father Prince Akishino talk as they sit on the grounds of the Akasaka Detached Palace in Tokyo in this handout picture taken August 16, 2015.